Here are 6 reasons I try to eat a banana every day. A list of banana health benefits… for your body and your wellbeing! Plus, my favorite overripe banana recipes – including homemade banana bread and strawberry banana smoothies. The Quickest & Easiest Homemade Banana Pudding Recipe… Ever! Want an easy banana pudding recipe? I’ve got the quickest & easiest one ever! I make it ALL the time because it’s so simple. See my homemade banana pudding recipe, plus a fun variation: individual banana pudding cups! Looking for unique (maybe even slightly odd or crazy) things to do this summer? We’ve come up with a list of nearly 200 summer fun activities for adults for your summer bucket list! A comparison of the Wendy’s Chicken BLT salad vs McDonald’s Crispy Chicken Bacon Ranch salad. PLUS… some interesting facts about fast food salads compared to dog food. AND… fast-food salads compared to burgers. It’s time to trade in your old analog cookware for new digital cookware! 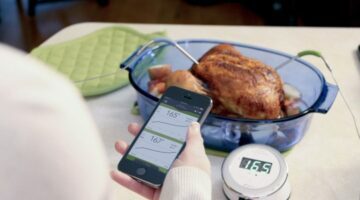 These 4 hi-tech kitchen gadgets will completely transform your Thanksgiving dinner. Now it’s faster & easier to prepare food at home for the holidays! 5 Easy Halloween Treats Recipes With Just 3 Ingredients Each! 5 simple Halloween treat recipes that kids love. You can hand them out to trick-or-treaters instead of candy bars. Or serve them at your Halloween party! The next time you’re hosting a party or preparing to feed a big group, don’t panic. Just keep it simple and try some of these quick & each recipes that will keep yourself unstressed and your guests’ stomachs satisfied. 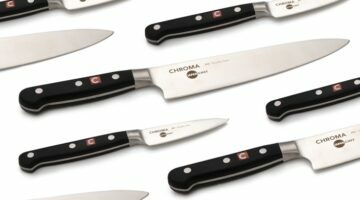 This post definitely caught my attention on Twitter: ‘High quality, low cost chef and paring knives, great for cooks on a budget.’ See why I love the knives, but in the end I decided NOT to buy them on OpenSky… not yet anyway. 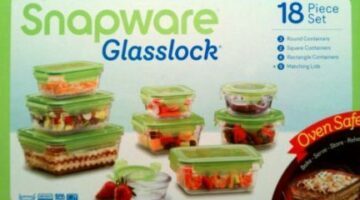 Here’s a helpful guide on how to buy food storage bowls for your kitchen. I’ve learned the hard way, and now I only buy glass bowls. See why. Plus, the features you should look for when buying food storage containers and tips for keeping them organized in your cabinets, pantry, and refrigerator. Where do you peel your potatoes and what do you do with all the potato skins? Do you toss them down the drain?… STOP! Here’s why, plus lots of fun uses for all of those potato skins, and even unique ways to use whole potatoes. Here are 2 mouth-watering ice cream recipes that can be prepared in just 30 minutes, plus videos and tips for making homemade ice cream yourself WITHOUT an ice cream maker! The George Foreman name is synonymous with nutritious meals, and the George Foreman rotisseries are no exception. 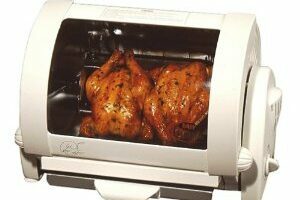 Here are the top 5 reasons to own a George Foreman rotisserie oven. Check Out Our Fun Food Facebook & Twitter Pages! 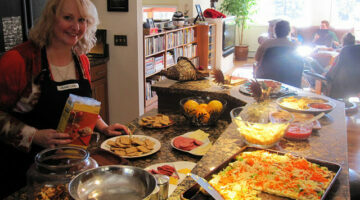 Get fun cooking & kitchen tips for the everyday cook. Plus find out about new gadgets, ideas, tips & tricks to get the most from your food and your cooking on our fun food Facebook and Twitter pages! Frozen Yogurt: Is It Healthy Or Is It Hype? Frozen yogurt ISN’T the perfect healthy treat you may think it is. Here’s why you should stick to eating regular yogurt instead of frozen yogurt. Learning to cook healthy is just a matter of making a few small adjustments to how you prepare your meals. Here are 10 tips for healthy cooking, plus videos showing how to keep all the nutrients in your vegetables by steaming them in the microwave. 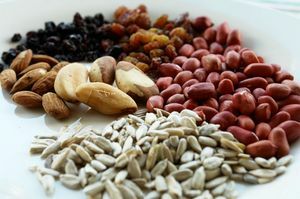 A superfood is one that provides multiple health benefits when it is included in your diet. 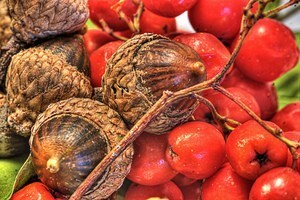 Superfoods are often overlooked. This video will introduce you to many superfood items from around the world. Oh No!… You Don’t Make These Restaurant Dining Mistakes, Do You? You will enjoy your restaurant dining experience even more if you can avoid these 10 common mistakes that restaurant goers frequently make. Plus, here are some mistakes when dining out with children that you don’t want to make either. Sometimes Food Mold Is OK – But When Is It Dangerous? Food mold in some cases only needs to be washed away for the item to be safe to eat. This isn’t the case for Items with high moisture content as they must be thrown out. Bananas come in a neat disposable and biodegradable handy wrapper. Here’s how to impress your friends — or your kids — by serving pre-sliced bananas within an unopened banana peel or by making individual bite-sized slices of bananas within the peel. 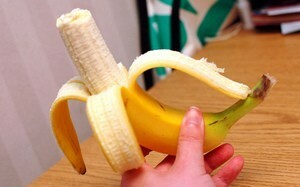 Plus how to peel bananas like the monkeys do! How Well Do You Know Your Cuts Of Beef? Not all cuts of beef come out good on the grill. Some are better suited for the crock pot or pressure cooker. All cuts can be tasty and tender if cooked properly.